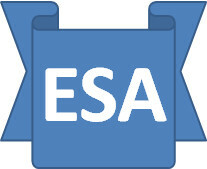 The ESA Saga: Decision Making Errors - the myth as to why. It is well know that about 40% of ESA fit-for-work decisions made by DWP (note DWP not Atos) are reversed on appeal. Worrying, but DWP has convinced itself that it is not its fault as in 65% of reversals, the Tribunal had additional information, so it not concerned about the error rate as there is a convenient and plausible explanation, despite the devastating impact it can have on a disabled person’s life. One would imagine that in the interests of effective staff performance management, DWP collates TS outcomes by Decision Maker as the basis for re-training etc. but NOT SO. The strong and clear recommendation above has just been ignored for the past 2 years!! !